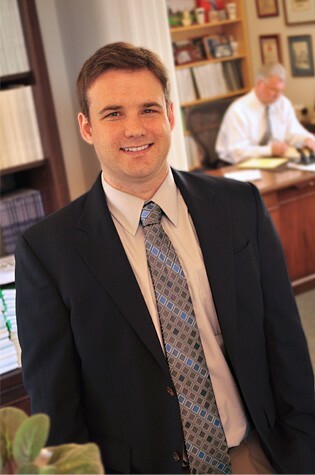 Lars' practice focuses on providing clients with practical business, real estate and estate planning/probate legal services. Whether helping a client organize a business venture, plan for the future of their family, or review a real estate transaction, the goal is always to provide sensible, efficient legal counsel. Lars takes pride in helping his clients plan for success. He takes a practical approach to evaluating risk and knows the value of maximizing every opportunity. Whether you are a local business owner managing your business or a family looking to protect your loved ones, Lars provides well-rounded counsel that helps you achieve your goals. Lars lives in West Seattle with his wife, two young sons and two dogs. They enjoy all that Seattle and the Pacific Northwest has to offer. Whether relaxing with friends at a coffee shop or pub, hiking or skiing in the Cascades, or cheering for the Sounders, Mariners or Seahawks, the Anderson family loves to make the most of every day.